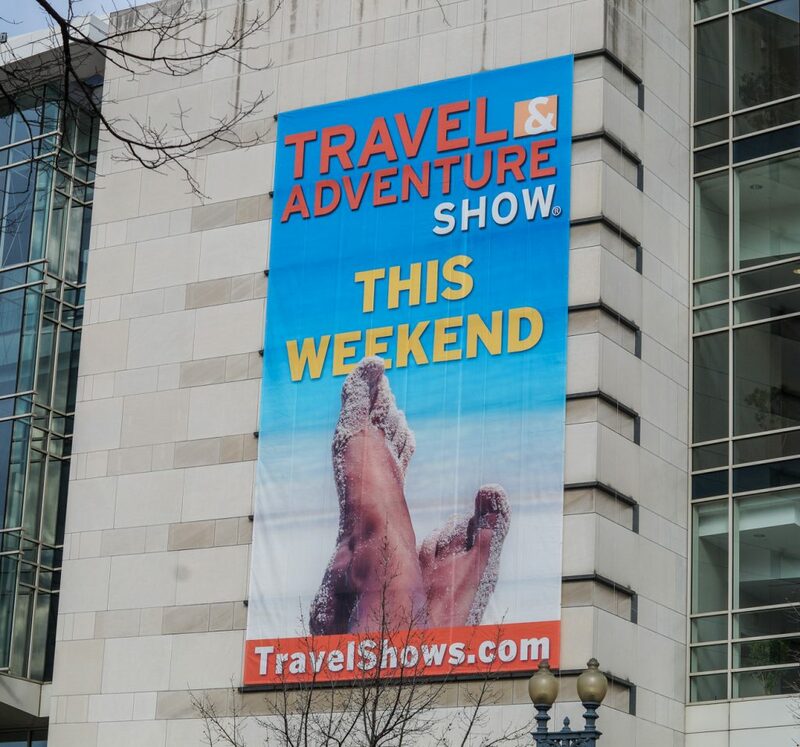 On January 20th and 21th, I visited the Washington DC Travel & Adventure Show for my second year (here is my post on last year’s show). 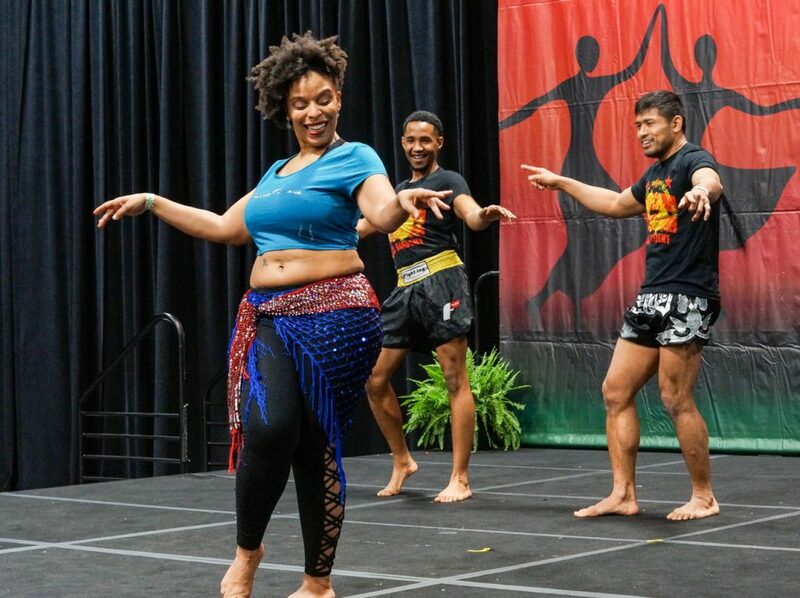 Held at the Walter E. Washington Convention Center, this show is perfect for those looking for travel ideas or wanting to book their next vacation. Check their schedule to see the dates for other cities including SF/Bay Area, Los Angeles, San Diego, Denver, Philadelphia, Dallas, and Chicago. The dates for the DC Show next year are set for March 16-17, 2019. Disclosure: I received free entry to the Washington DC Travel & Adventure Show in exchange for coverage. All comments and opinions are my own. 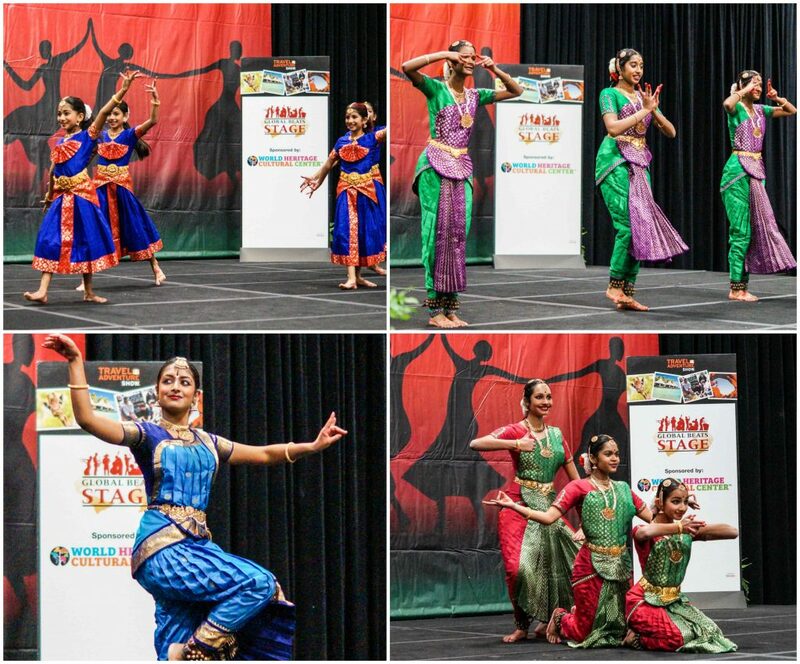 It was quite the busy weekend with so much to see between celebrity speakers, dancing, entertainment, vendors, travel guides, giveaways, and food! The layout included four different theaters spread around the sides of the convention floor (Travel Theater, Destination Theater, Savvy Traveler Theater, and Taste of Travel Theater) along with a Global Beats Stage and the center area filled with exhibitors. Samantha Brown, host of PBS’ Places to Love, kicked off the Travel Theater on both Saturday and Sunday. She was introduced by Eun Yang, morning news anchor for WRC-TV, with a sneak peek into the PyeongChang 2018 Winter Olympics. 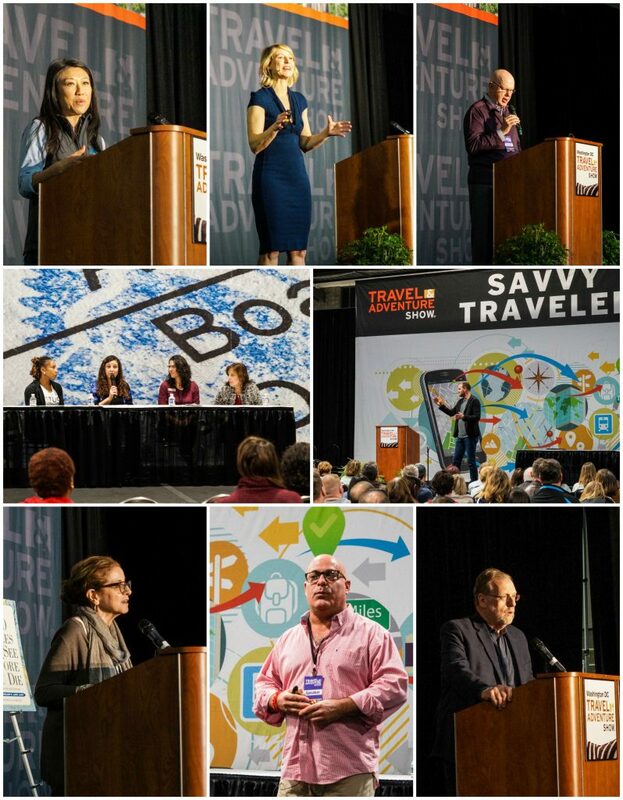 Other Travel Theater speakers of the weekend included Rudy Maxa (award-winning travel journalist, travel expert, radio & TV host) discussing The Transformative Power of Travel, Peter Greenberg (Emmy award-winning investigative reporter, producer, and CBS News travel editor) covering What Smart Travelers Need to Know to Navigate the World and Why the World has Suddenly Become a Global Buyers’ Market, and Patricia Schultz (bestselling author) featuring her book- 1,000 Places to See Before You Die: Global Edition. The Destination Theater featured talks on some memorable travel destinations. Highlights included The Wonders of Eeyou Istchee Baie-James by Victoria Crowe; Explore the Nine Islands of the Azores and Their Unparalleled Beauty by Zeto Carvalho; LGBTQ Travel by Ed Salvato (Editor in Chief of ManAboutWorld) with Troy Petenbrink, Brynn Tannehill, and Allister Chang; and Israel: History, Adventure, Faith, Wine & Food Oh My by Chad Martin (director of the northeast region for the Israel Ministry of Tourism). The Savvy Travel Theater featured tips and tricks to make the most of your travel including How to Capture Great Travel Photographs by Ralph Velasco (PhotoEnrichment), The Key to Maximizing Your Travel Experiences Through Credit Card Points and Frequent Flyer Miles by Brian Kelly (ThePointsGuy.com), Expert Tips on Multi-Generational Travel from Maggie Miller (Family Finds Fun), Tips and Hacks for the Solo Traveler by Nadine Sykora, and Travel Like a Pro: Packing Tips & Savvy Travel Skills by Angel Castellanos (AngelsTravelLounge.com). Following all the seminars, the Travel Theater speakers also held autograph signings. For those interested in some tasty treats, the Taste of Travel Theater featured chefs making favorite dishes from around the world including Ford Barsi of Carmine’s Restaurant (Italian Cheesecake); Henry Alexie Bloem of Bloem’s Waroeng in Jimbaran, Bali, Chef Sisca Soewitomo, and Chef Yono Purnomo of Yono’s Restaurant in Albany, NY (Tempe); John Bennett of Myron Mixon’s Pitmaster Barbeque (Beef Brisket); Matteo Venini of Lupo Verde (Butternut Squash Cappellacci); Culinary Fight Club; Javier Cuesta Munoz of Taberna del Alabardero (Caldoso of Bomba Rice, Maine Lobster, and Mussels and Clams); and Matt McMillin of Cooper’s Hawk Winery & Restaurants (Shaved Brussels Sprouts Salad). 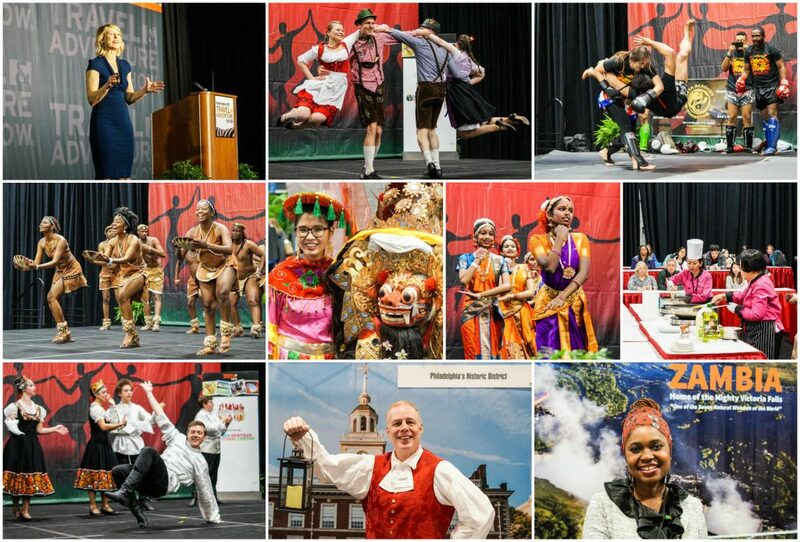 My favorite part of the Travel & Adventure Show over the past two years has been watching the incredibly talented dancers and performers on the Global Beats Stage. 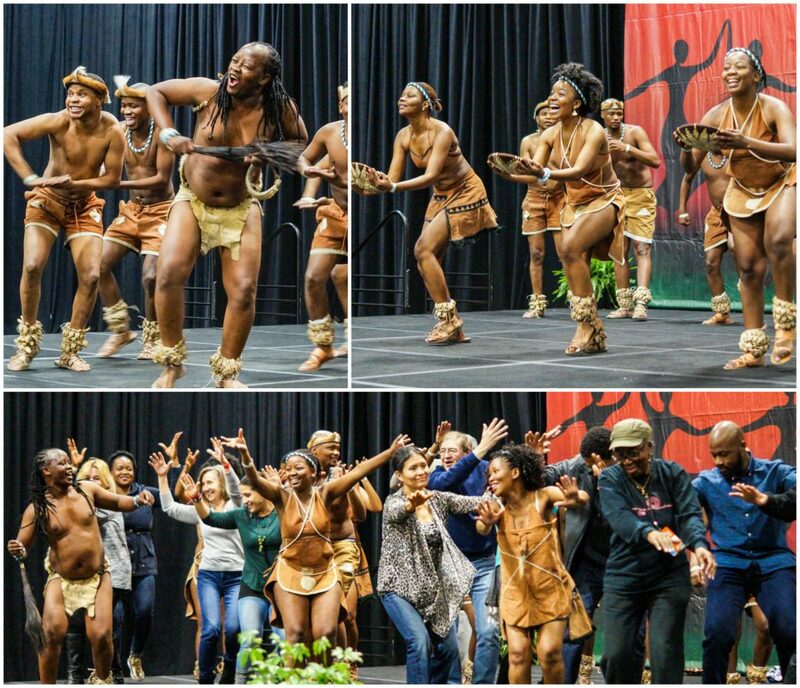 The first dancers of the weekend were Rhythms of Kalahari featuring Dances from Botswana. 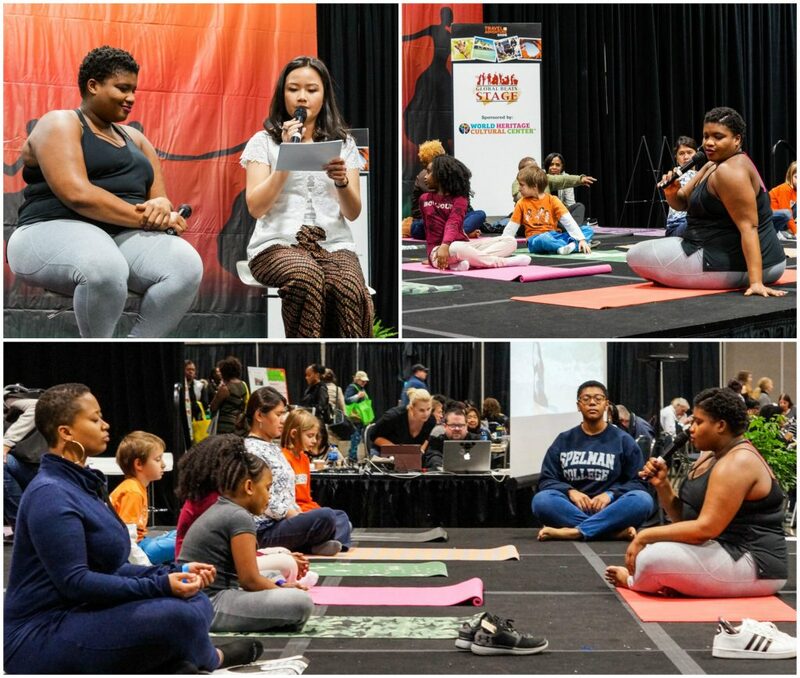 There were a number of hands-on activities as well including the Rock Wall Climbing Experience provided by River & Trail Outfitters, Travel & Adventure Show “TURKEY Photo Booth,” Motion Thrill Ride by VR, and Ride on a Segway by City Segway Tours. 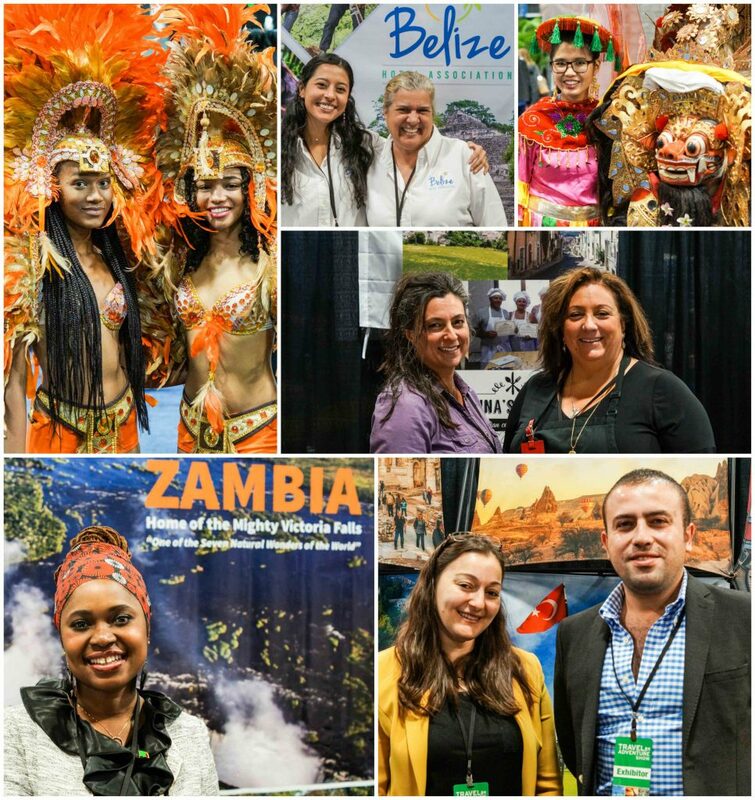 The center of the convention center was filled with over 100 tourism boards, travel agencies, and vendors showcasing locations from around the world. Many also featured travel deals that were exclusive to the show. 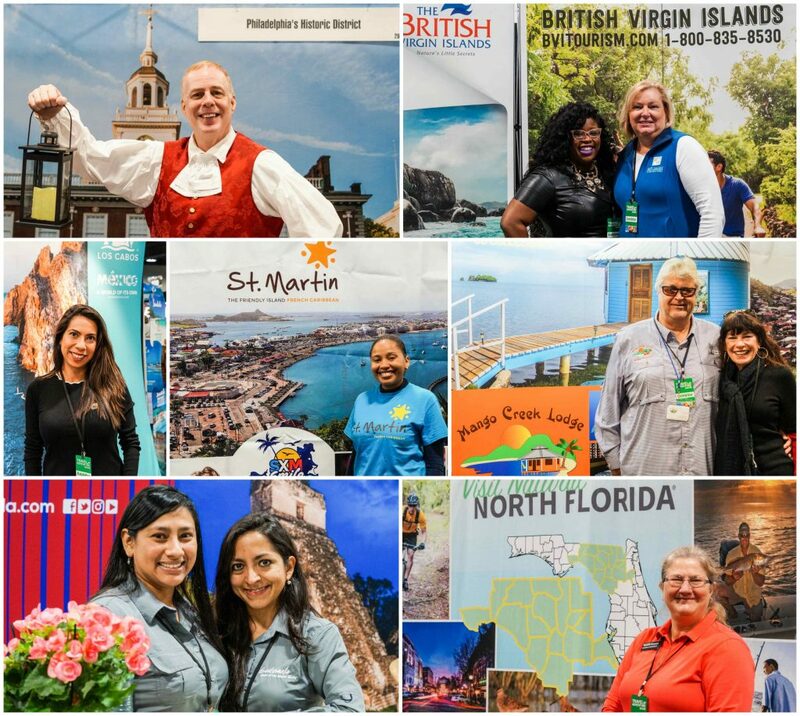 There were plenty of domestic as well as international options including Philadelphia, the British Virgin Islands, Los Cabos, St. Martin, Mango Creek Lodge, Guatemala, Visit Natural North Florida, and so much more. Photographed above: Bahamas Tourist Office, Belize Hotel Association, Embassy of Indonesia, Dorina’s Kitchen, Zambia, and Turkish Culture & Tourism Office. Tourism Malaysia, Philippine Department of Tourism, LV Travel, Sultanate of Oman, and Peru. 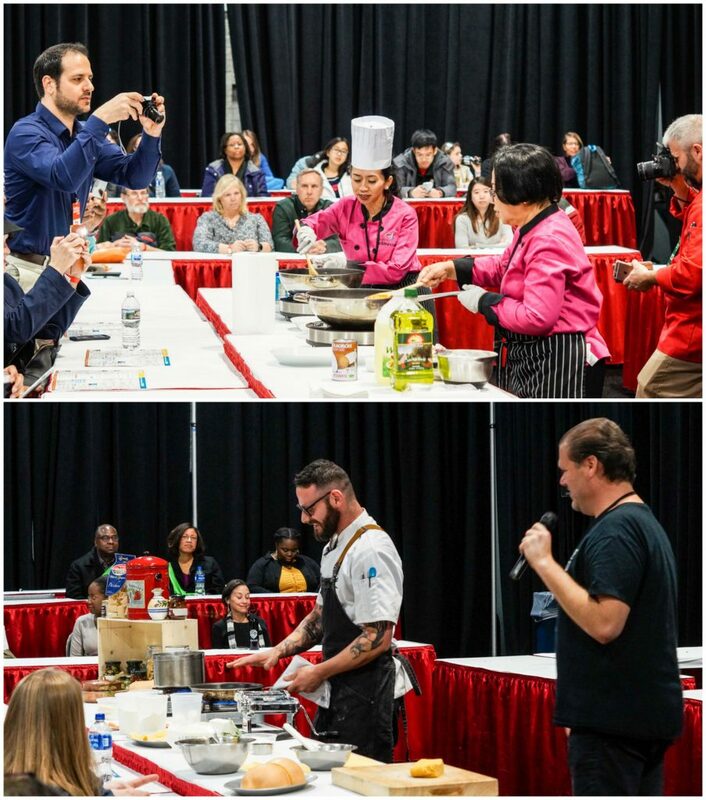 Overall, I had such a wonderful time learning more about different locations near and far, watching the incredible performances, and trying some delicious food at the Washington DC Travel & Adventure Show. I won’t be able to make it to the DC one next year, but hope to catch it in Los Angeles! 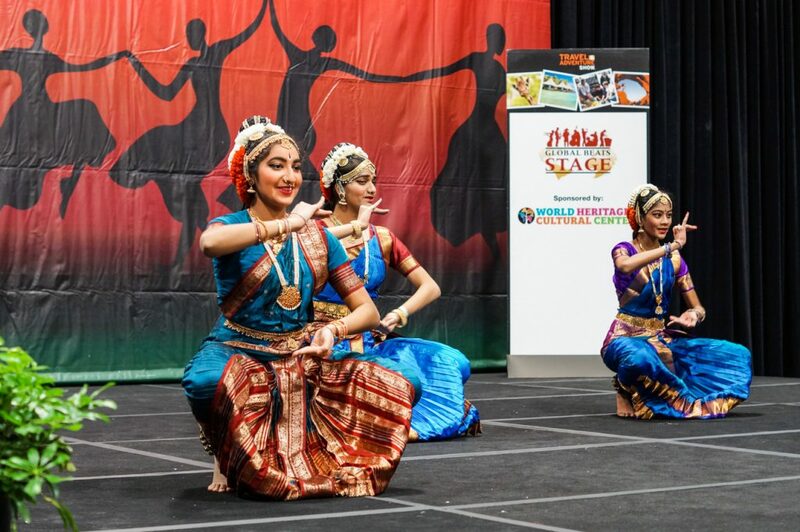 Your event at the convention center truly looks culturally enlightening. Very interesting post! In general, D.C. is worth it every time I visit. Love it! What an awesome looking event this seems to be, like a real adventure through different cultures as well. I would definitely be interested in going to something like it myself. Wow this looks like it was so much fun! I would love to go to this event next year as well as DC! Did you find any new places that you are hoping to travel to? This sounds like an absolutely amazing event! 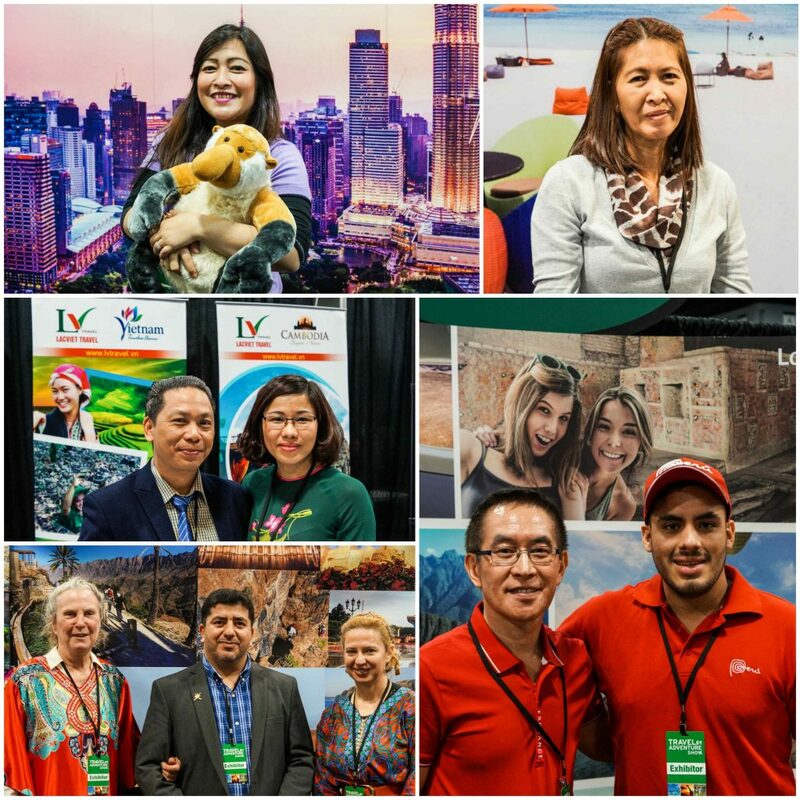 I love that it affords visitors a chance to experience so many cultures in one place! This would be such a neat show to see! I love all these different costumes. I’ve always wanted to go to Washington DC. I am with you on this. I would spend most of my time around the Global Beats stage too. That and anywhere food is involved lol. I have never heard of an event like this but would love to attend one! What an amazing event this looks like. I bet all the dancers were just amazing to watch. How fun to experience so much under one roof. That looks like so much fun! I’ve always wanted to travel to DC, I should really plan for that someday soon. What an exciting event! Your pictures captured everything so beautifully. This sounds like a beautiful event. I love learning more about different cultures. I would really enjoy to check this out in person. I was there too. 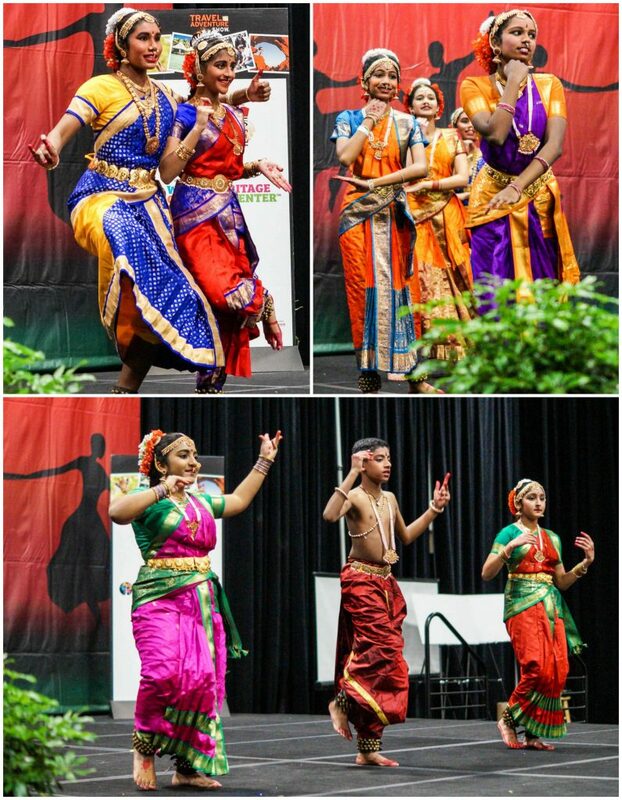 I worked the show, actually 🙂 It was cool to have all the cultural aspects of the event like the dancing/music and food as well as some really interesting booths ! This looks so cool! A great way to learn about other cultures that you want to explore! Wish it was coming to Atlanta! It looks like a fun event! 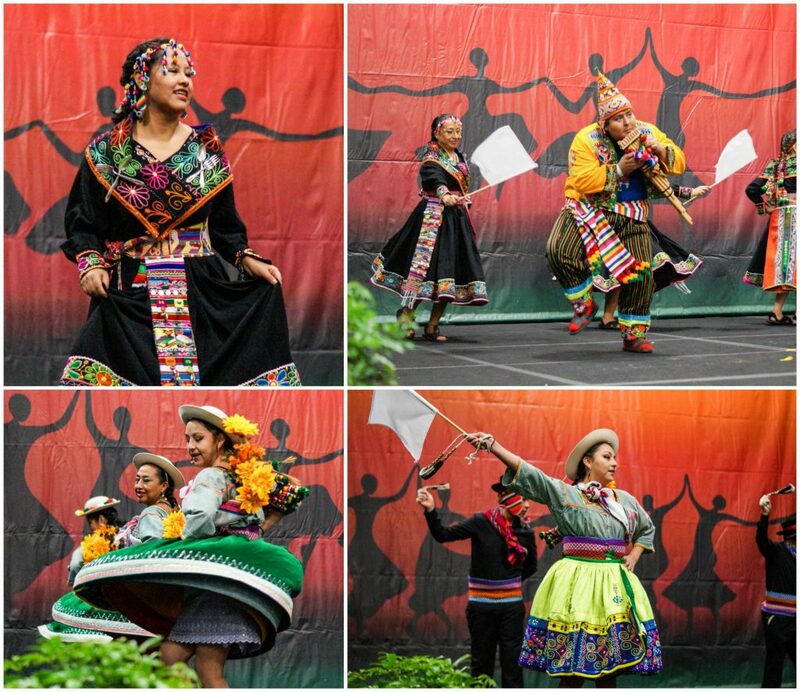 I love all the cultural outfits and dancing! This sounds like a fascinating event, both entertaining and something I would learn a lot from. How cool, I would love to have been able to attend! This looks like such a fun event to have attended!! I love all the different outfits!! Wow, what a time to enjoy so many different events all in one place. 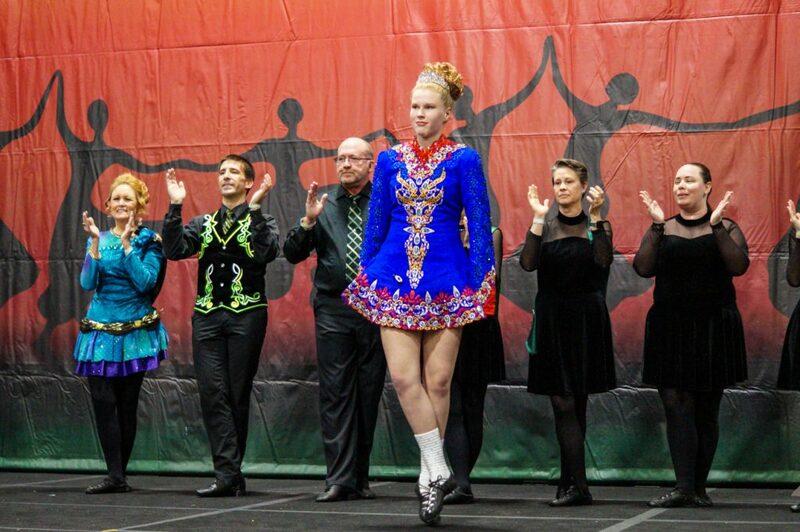 I love all of the color and the dances. I am sure the food was wonderful too. I think it is great that you were able to attend such a great event. Wow. That really does look like an adventure. I would love to see all those performances. I love Washington DC! I traveled there a couple of summers ago anti was so much FUN!! I would love to travel there again!! I never really thought about going to Washington before, it looks beautiful though. May need to add it to my want to do list. This looks like so much fun to watch and attend. I have to put this on my list to see next year. Looks like a wonderful experience. This looks like a lot of fun. I like the idea of seeing this in person. I love all the culture presented in this production! I wish I could get the kids out to see this. We love the Washington DC area. I’ve not heard of this until now and am wishing I would have! So cool! I have always wanted to go to Washington DC. This travel adventure show looks like it would be a ton of fun. I am hoping to be in the area this summer. How fun! We’ve been to Washington, D.C. before and although we didn’t get to explore the nation’s capital as much as we could, we still had a great time and totally loved D.C. This sounds like such a cool conference! I’d love to check it out. That sounds like such a fun show! Love anything that upholds and promotes global diversity and this seems like a perfect platform for that! THat looks like a really fun event to attend. I’d love to see all of the dancing! Omg i love this kind of travel events. Its a great opportunity to learn about many places and network the right people. Ooooh I love this and it looks like so much fun! I have never heard of a convention about traveling for people who want to travel. Thanks for sharing!